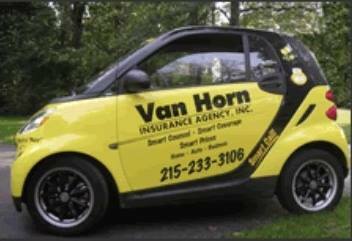 The Van Horn Insurance Agency was founded in 1975 by Bertram E. Van Horn. After working for several insurance companies Bert decided he would try the agency side of the business. He converted one of the bedrooms in his home in Oreland, PA and went to work. He felt a bit awkward when neighborhood ladies would come to the house to get insurance information or quotes and he would invite them upstairs. It became an often repeated family joke. As his business grew he converted the one car garage into an office in 1977. In 1978 his son Alan Van Horn joined the agency after working for New Hampshire Insurance Company and the William Hyndman III Insurance Agency, Inc. With the business continuing to grow the office was moved out of the house and into professional office space on Bethlehem Pike in Erdenheim later that year. Ivy Bergey joined the team in 1984 and Pam Hilliard in 1994. In 1990 Bert decided to retire and move to Pinehurst, North Carolina. His wife Mabel passed away in 2003 and Bert died in 2012. He left behind a legacy of caring for his clients and hard work. The business incorporated in 1990 as The Van Horn Insurance Agency, Inc. On January 1, 2000 the agency joined forces with 9 other independent agencies throughout Southeastern Pennsylvania in forming Premier Insurance Network, LLC, a marketing joint venture. In 2003 the office relocated to its current address - 515 Stump Road, Suite 231, Montgomeryville, PA 18936 - the Van Horn telephone number remains the same as it has been since 1947, Adams 3- 3106, (215 233-3106}. In 2013 Alan was joined by Gerard T. (Gerry) Foley, a 30 year professional and personal friend; having worked together at the Hyndman Agency in the mid-'70's. Gerry's wife Carole is now part of the growing team at Van Horn as we look forward to celebrating our 40th year.